A continuous field of small, regularly arranged flowers with stems and leaves, brown and red against a white ground. The reverse is less saturated with dye than the surface. 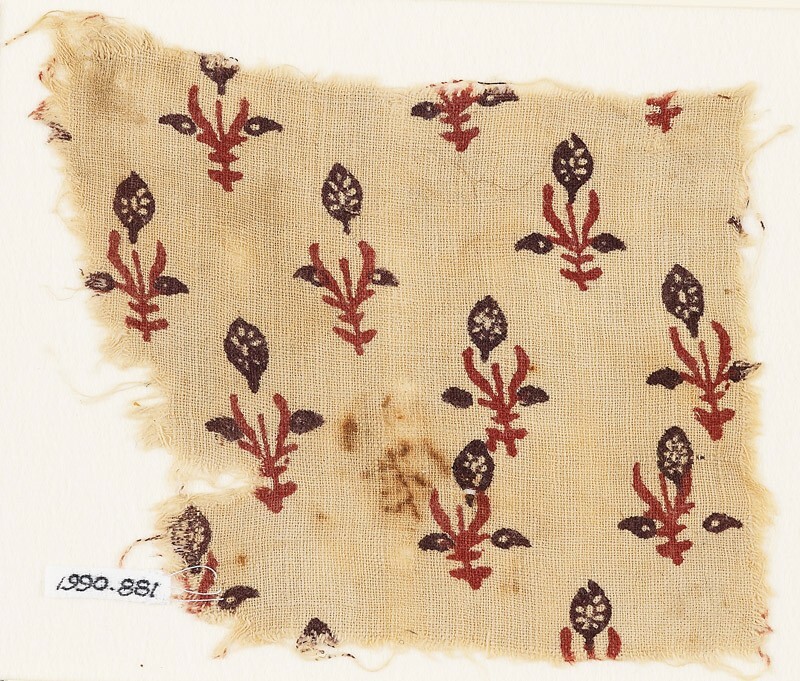 The design is comparable to printed cotton from Rajasthan, as still produced today.